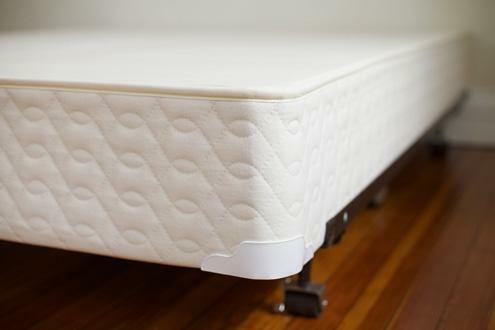 A quality all natural latex mattress should be supported properly and that always begins by using a rigid surface. 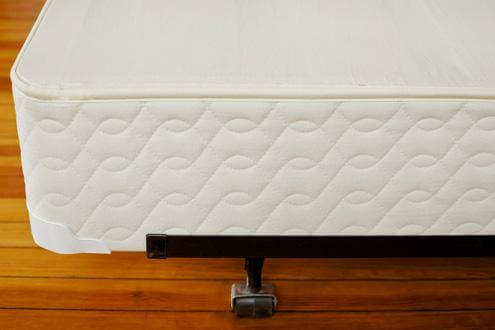 The perfect surface for a Savvy Rest Organic mattress is the chemical free matching foundation. Our cooresponding Savvy Rest Organic Foundation replaces a traditional box spring on a frame or platform bed. This super heavy duty foundation is built rigid and strong using three-quarter-inch slats spaced 2.5” to 3” apart for optimal mattress support and breathing. Our wooden supports are made from untreated pine and the entire foundation is enclosed in the Savvy Rest Organic casing that is made from certified organic cotton and certified organic wool. •Not sure how to choose the correct foundation height? Measure the current boxspring you have and compare it to the measurements below. The difference will help you determine whether our foundation will sit higher, lower, or about the same as what you have now. Have a new bed frame? Measure for the height of your new “foundation” and then add to that the measurement of your mattress. •A King, California King, or sometimes called Cal. King Foundations will always 2 pieces. •A two-piece foundation or Split Queen foundation is also available. This is perfect, if have tight corners and turns, small doors, or narrow stairways in your home. You will need to measure these areas before ordering for proper fit. Foundations are not returnable.